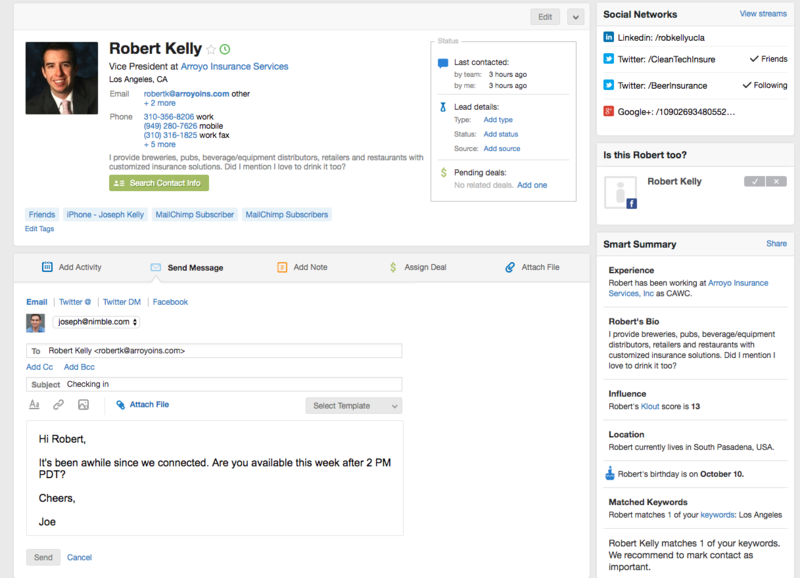 Learn how to set up and use the Stay in Touch widget on your Today Page dashboard. 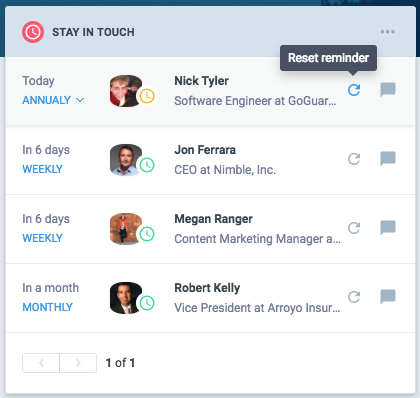 With our Stay in Touch reminder widget, you can maintain relationships with thousands of contacts in your Nimble account. 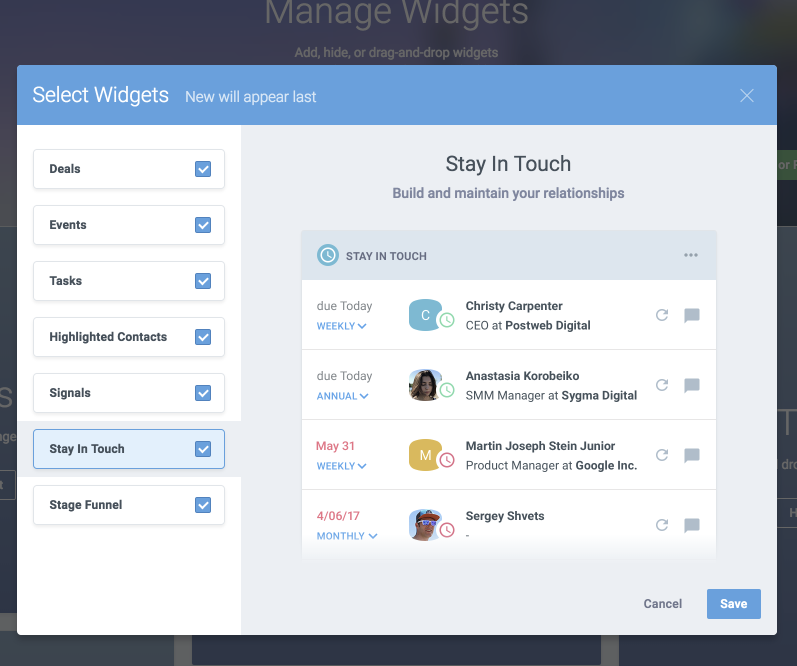 On your Today Page dashboard, select "Manage Widgets" and select "Stay in Touch" to add it. Stay in Touch reminders are weekly, monthly, quarterly, and annual intervals to help you make sure you’re connecting with contacts at the proper interval. 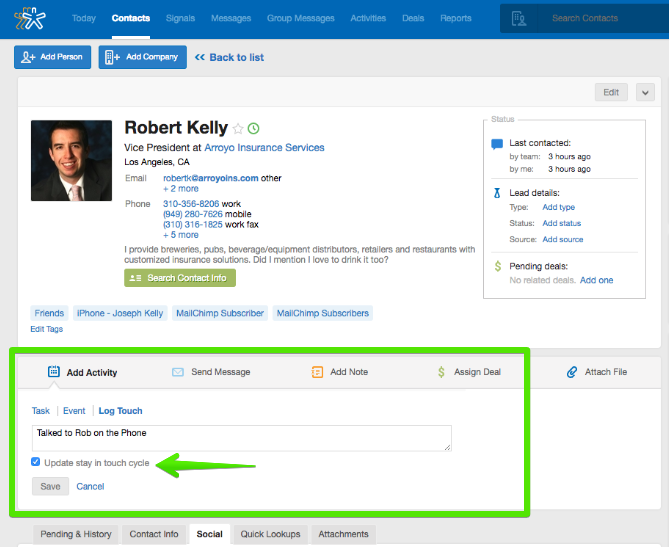 If you ever fall “out of touch” with someone, they’ll appear atop your Stay in Touch reminder list in Nimble! When you select "Send Message", you'll be brought to a contact record to send a message to reset the reminder interval. If you are communicating in a method besides email or Twitter, select the "Log Touch" option and check the box for "Reset Stay in Touch Reminder". With the widget for your Today Page, we’ll display everyone you’ve fallen out of touch with so you know right away to reach out. Not ready to reach out yet? Simply hit the refresh button to reset the reminder! Resetting the reminder will start over the Stay in Touch reminder interval. For example, if you have a weekly reminder, it will reset the reminder to show up in 7 days. Learn more about our Today Page dashboard here.